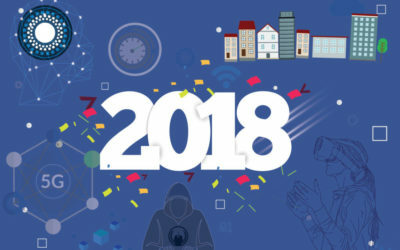 We live in an age where innovative IoT technologies are embedded into almost every interaction, allowing people, as well as businesses, to think through the new realm of opportunities in this digital world. Digital Transformation in a mobility ecosystem? nothing could have been much better than this. 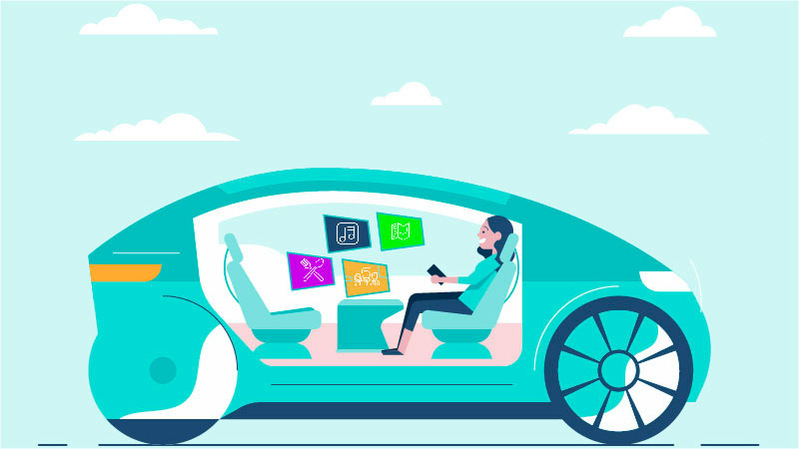 From virtual showrooms to smart mobility infrastructure and then to autonomous vehicles, these intelligent technologies have surely made this journey nothing less than magic with the help of various mobility solutions. You must have faced a situation where you stop by a restaurant and could not find a parking place. Or more relatable can be, that you find it difficult to use your phone or multi-task while you are driving. How about having a car that drops you off to your destination and finds a parking spot itself and parks on its own? Or let’s say you instruct your car to reach the desired place and then you can just sit and multi-task during the journey? This may seem impossible to some of you but that is true! The advent of the cognitive era has absolutely transformed the mobility landscape and the widespread deployment of AI in this sector has made life easier for people. The automotive industry is gradually diversifying from only selling cars to providing complete mobility services like ride-hailing, taxi, electric car charging, and parking solutions. What used to be bothersome for people in the past has now been changed to self-functioning. 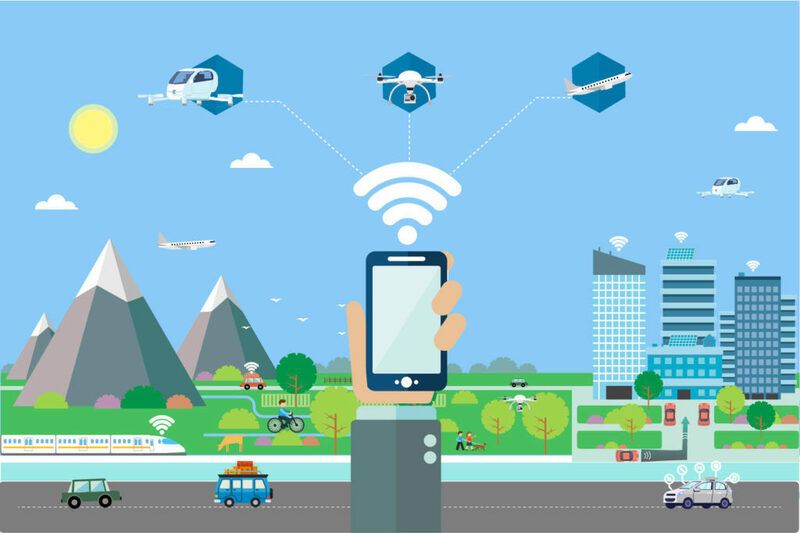 Major means of transportation have undergone some critical digital transformations with the help of some cognitive technologies like smart railways, autonomous cars, airports, and even fleet operations are expected to follow the “being smart” approach. However, all of this is possible with the help of 5G. 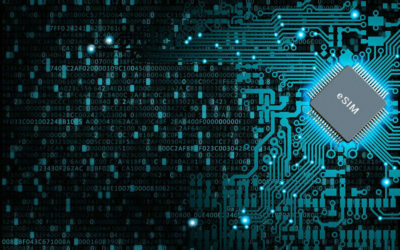 According to predictions made by Frost & Sullivan, the rollout of 5G services will hyperdrive the speed of connectivity, with less than 1 millisecond of latency, 90% energy savings, and zero perceived downtime for service provision. Furthermore, 7 trillion M2M wireless connections will drive a level of convergence and integration, never seen before, enabling the digital transformation of mobility. To explore through different ways these intelligent technologies like AR and AI is reshaping the transportation ecosystem, this article gives you a snapshot of the future of mobility. How about owning a car that schedules an appointment for regular maintenance and repair? Or imagine you just create a task for your autonomous car to pick up groceries from the fully automated warehouses? New to the word “automated warehouses”? Well, expect to have such warehouses in your future which is going to have automatic lifters who are going to load your mobility cars automatically based on the items you have selected in advance. Let’s think of a day you got late in the office and now you are super hungry. But you are too lazy to stop by during your way back home. You might wish that you have someone who would just pick up a hot, oven-fresh pizza and you got to eat it right away. Well, that is possible! Order a ride through your smartphone, along with the pizza. Instruct the (self-driving) car to pick up the pizza on its way. And here it is, your ride, along with the pizza. On average, Americans spend 17 hours per year searching for parking, resulting in a cost of US$345 per driver in wasted time, fuel, and emissions (Deloitte Insights). I am sure you must also be facing the same problem whenever you go out during the busy hours of the day. Parking is inseparable to the broader patterns of how people, as well as goods, move around. Therefore, the automotive industry is striving to resolve such issues for you. Many leading car manufacturers and individual service firms are designing such solutions for you to take care of your parking needs. For example, Ford’s Smart Mobility is dedicated to including innovations like advance booking of parking spaces in cities and at airports. With the help of technologies like AI and AR, apps and software are designed to sense the availability of parking space and also, the payment system to utilize that space. Sensor-equipped assets like garages and street meters offer real-time space availability information along with maintenance-needs updates. 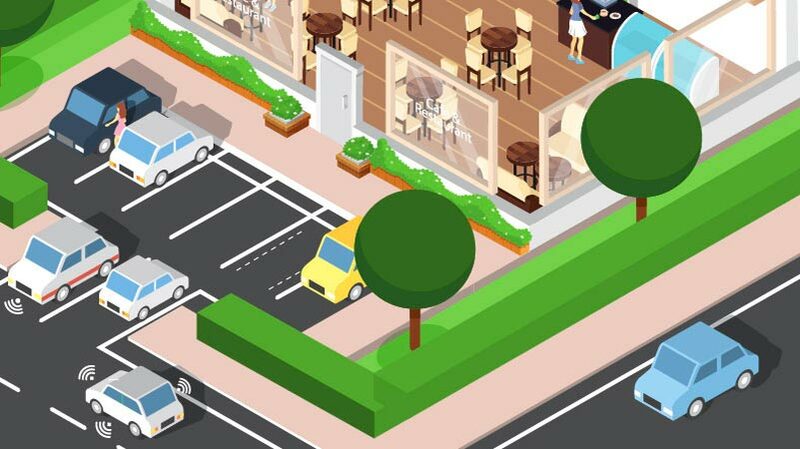 Moreover, the future of the parking industry, according to Deloitte’s will be categorized by shared autonomous vehicles by 2040 in the United States, which would rarely need to park. Situation 1: You leave your home for the office in the morning and start searching for some public transport. As you left a little late, so you missed your ride. Now you’re waiting for another ride to come and finally it comes after some time and you take it to reach office. Situation 2: you are getting ready for office, and meanwhile you picked up your phone, searched for the nearby rides, compared the rates and then ordered the most suitable one. By the time you got ready and had your breakfast, the ride comes on your doorsteps and you leave for the office. Isn’t the second situation more appealing to you? This is what digital transformation has changed in the mobility ecosystem. Mobility system is now following more of a user-centric approach. 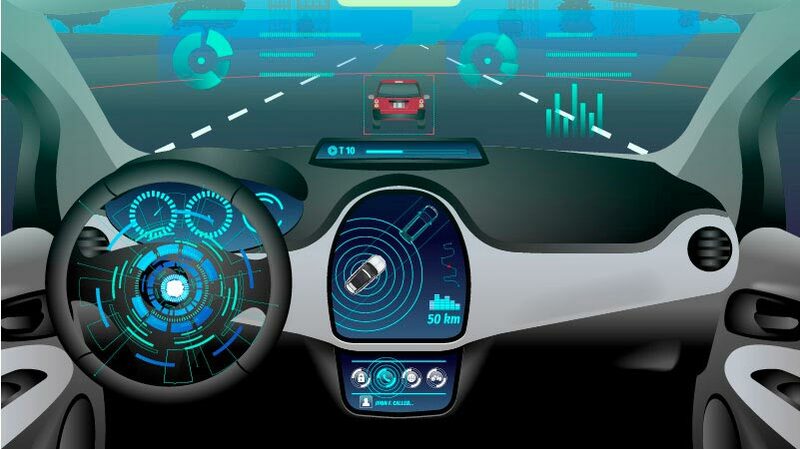 Moreover, even if you are using such rides, AR and AI technologies have enabled users to access real-time information regarding the whole journey. So you can expect a new mode or dimension of mobility in the future. A number of manufacturers have announced plans to launch or deploy commercially viable “no-human” aerial vehicles and autonomous air taxis. In fact, some cities have even launched the flying-car programs during 2018. Some names that we came across include PAL-V liberty, Ehang 184, Volocopter 2X, Terrafugia Transition, Aurora Flight Sciences eVTOL and many more. However, to reach this idea in its successful form, there still remains much work. However, to reach this idea in its successful form, there still remains much work. Operating and maintaining fleets of flying drones will surely open up doors for novel opportunities and models for businesses but relying solely on 5G will not be enough. 5G’s ultra-low latency allows for latencies of 1 millisecond but taking hundreds of thousands of such vehicles to the sky would not be an easy task in the coming future. Communication requirements would definitely stretch beyond today’s vision of 5G. What do you do when you reach before your kid’s school end, to pick them up? Or what do you do when you have to wait outside until your wife comes back from shopping? You may get bored most of the time. In such case, opportunities emerge for companies across a wide spectrum of industries to engage consumers while they are on the go. Many manufacturers are designing and building vehicles whose interiors are modular and customizable. They are embedded with screens, speakers and other technologies to allow users to interact with the world outside. We do see some manufacturers who have already worked on some of these innovations. Have you seen a car, whose windows turn to video monitors? That is one example of such innovations. Now let’s think of a car who recognize your individual preferences and adjusts music, videos, news, advertising and other preferences in real-time. Isn’t it exciting to have such a level of personalized experience in your car? IoT technologies have and will surely be ushering in new opportunities to create and capture value in almost every sphere of human life. Making the world smarter is a new reality. Flawless intermodal travel in a connected ecosystem is built on a robust underlying infrastructure. And the focus has surely shifted towards this infrastructural automation. Either we have traffic management systems, roadside sensors, cybersecurity infrastructure or comprehensive telecommunications network is essential for this new mobility ecosystem.